The entire destruction has been carried out by the SL Navy for the purpose of construction material for its military purposes, those who witnessed the status told TamilNet on Monday. The representatives of the uprooted people were accompanied by the Parish Priest of Ira'nai-theevu. The SL Survey Department officials carried out the first phase of their surveying last week. Another round of surveying will take place in 2 weeks, divisional secretariat officials said. 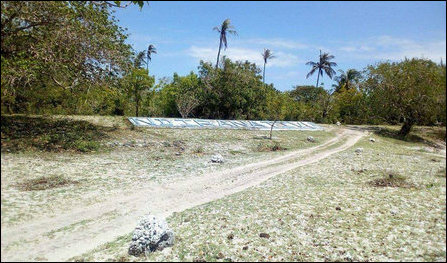 Occupying Sinhala Navy has been adamant in its refusal to release the occupied residential and livelihood twin-islet of Ira'nai-theevu. 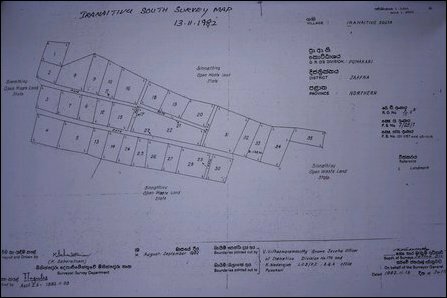 However, the uprooted people are determined to step up their protest if the occupying SL Navy failed to release their lands. Since 01 May 2017, the uprooted people have been waging a continuous protest at Muzhangkaavil. 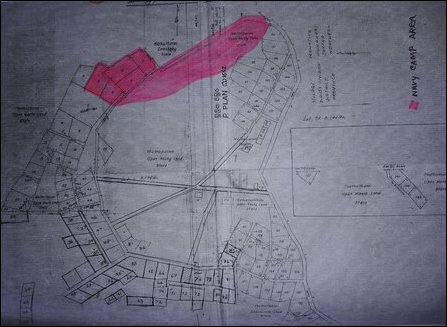 Around 500 families, numbering around 2,400 individuals, are staying in the temporary settlement at Ira'nai-maathaa-nakar in Muzhangkaavil. 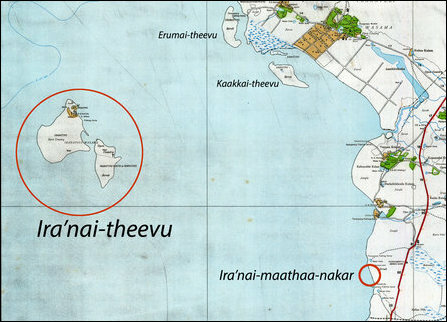 The remaining 25% of the population from Ira'nai-theevu are staying in Oalaith-thoduvaay and Theavanpiddi in Mannaar and some in Jaffna district. Some of the uprooted people have also displaced overseas to Tamil Nadu in India.